Folding and Rewinding Machine(FND-R1000) - HCI Converting Equipment Co., Ltd. Especially designed for folding and rewinding processes of plastic films. The folded edge is neat and stable after rewound. 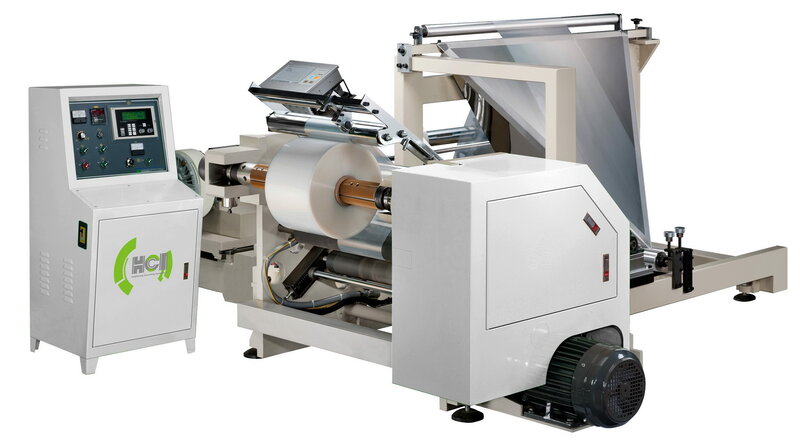 This Folding and Rewinding Machine can easily transform flat film into folding form. Horizontal unwind stand, the position of lift-up type 3” mandrel is adjustable. Web folding device, quick adjustment and constant edge. Unwind adopt powder brake and main drive adopt AC motor. Swing out type rewind mandrel for fast loading. Rewind lay-on roller ensures the winding quality. Core Inner Diameter [mm] 76 / 3"